Alone or with a group. For business or pleasure. With family, friends or with your sports club. We welcome you to the beautiful town of Brive on the edge of Lot and Dordogne. Discover rugby, pre-history and gastronomy. See you soon! 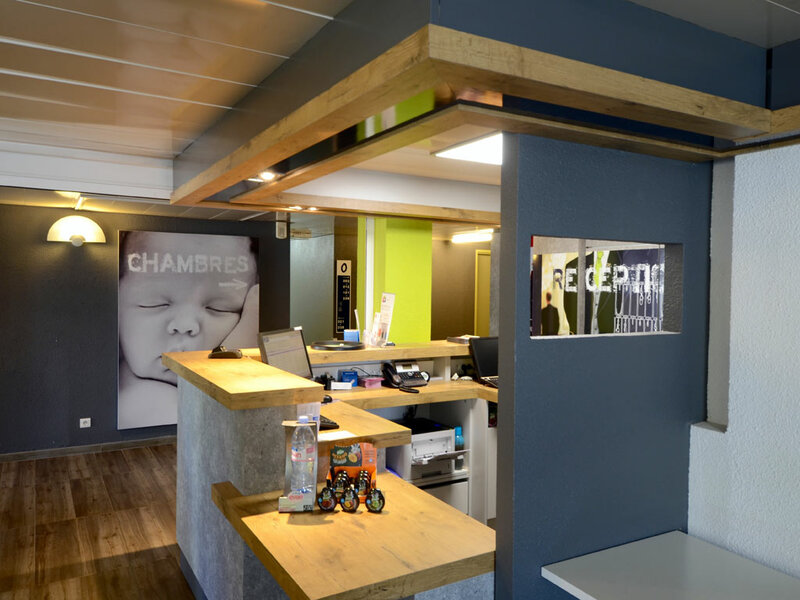 The ibis budget Brive la Gaillarde, the smart accommodation choice! Stay in an inviting, modern room while on your travels. Each room is designed to accommodate up to 5 persons (depending on the country) and has a shower, toilet and satellite TV - all at an affordable price. Kick start your day with a delicious breakfast that won't break the bank! TRIPLE - Standard Room with a large bed and a bunk bed. TRIPLE - Room for 3 persons with 3 Single Beds. Tråkigt hotell, total oorganiserat. INGEN SITS PÅ TOALETTEN. Faktiskt det sämsta IBIS jag bott på någonsin. Och jag har bott på många Ibis/Etap genom åren.